Across much of the world people face a daily battle with corruption. Infiltrating corporations, governments, the military and civil service, both on a local level and internationally, it is often seen as a symptom rather than the cause of unrest and hardship. It is therefore often relegated to the back of the queue when tackling a country’s problems. 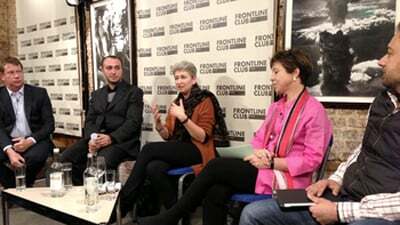 We will be joined by Sarah Chayes and Tom Burgis, whose investigations have taken them deep into the workings of corrupt systems across Africa, Afghanistan and elsewhere. From the local power brokers to the international corporations, they will be discussing what they discovered about how corrupt systems operate, the implications locally and globally, and what can be done to more effectively tackle them. 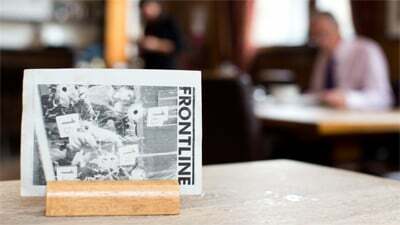 Chaired by Owen Bennett-Jones, freelance journalist and host of Newshour on the BBC World Service. As a correspondent with the BBC he has reported from over 60 countries. He is author of Pakistan: Eye of the Storm and his first novel Target Britain. 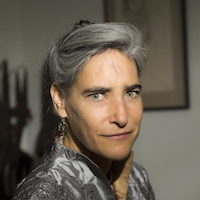 Sarah Chayes is a senior associate in the Democracy and Rule of Law Program and the South Asia Program at the Carnegie Endowment. Formerly special adviser to the chairman of the Joint Chiefs of Staff, she is an expert in kleptocracy, anti-corruption, South Asia policy and civil-military relations. As an award-winning former NPR correspondent she covered the fall of the Taliban, then left journalism but remained in Afghanistan for a decade in order to contribute to the reconstruction of the country. Chayes is author of The Punishment of Virtue: Inside Afghanistan After the Taliban, and more recently Thieves of State. 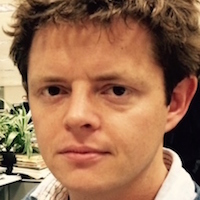 Tom Burgis is investigations correspondent at the Financial Times, formerly the newspaper’s Johannesburg correspondent and West Africa correspondent. He has reported on Africa since 2006 and is one of the only foreign journalists to have done back-to-back postings in southern and western Africa. He has been nominated for Young Journalist of the Year, and in 2013 won the RSL Jerwood Award for a first work of non-fiction in progress. He is also the recipient of the prestigious Financial Times Jones-Mauthner prize for ‘his superb reporting and exposé of corruption in mineral-rich Angola and Guinea’. He is author of The Looting Machine: Warlords, Tycoons, Smugglers and the Systematic Theft of Africa’s Wealth.